This is a common question/problem with Arnold 5: shaders plugged into color slots. In Arnold 5, shaders like Standard Surface (and Lambert too) don’t return colors. So in general, you can’t plug them into color parameters. And Blinns are translated into Standard Shaders by MtoA, so you can’t plug a Blinn into a color either. Instead of a layeredTexture, you can use a layeredShader. It knows how to handle shaders that don’t return colors. Or you could use the Arnold aiMix shader. So, if these shaders don’t return colors, what do they return? A closure is not a color, it’s a bundle of data that tells Arnold how the surface (or volume) scatters light. Arnold takes care of all the ray tracing and light sampling, and then uses the closure to figure out the surface color. “The addition of “closures” is a complete godsend. This relegates the work of rendering to the renderer, as it should be. No longer are material shaders little dumb raytracers that count lights and shoot reflection rays. A material shader returns mix of BxDF closures, and the renderer itself takes care of doing “the right thing” with them”. Closures: a new closure parameter type has been added, which shaders can output instead of final colors. There are BSDF, BSSRDF, emission, matte, transparency and volume closures. See the API documentation and examples for more details on how to use these. Linking a color to a closure parameter will automatically create an emission closure with that color. A closure parameter however can’t be linked or converted to a color, as the integrator only computes lighting after shader evaluation. You can use the BA shaders in Maya with MtoA. The BA shaders are Arnold shaders, so you can use them anywhere that you use Arnold. Extract the archive. For example, you could extract the archive to a C:\solidangle\BA folder. Start Maya. The BA shaders should be available, and the AE should look “nice” for the BA shaders. SItoA includes Arnold versions of the Softimage Vector State and Vector Scalar shaders, which you can use to do build a “distance between” shading network. Vector State can get you the origin point of a ray and its intersection point, and Vector Scalar can get the distance between those two points. 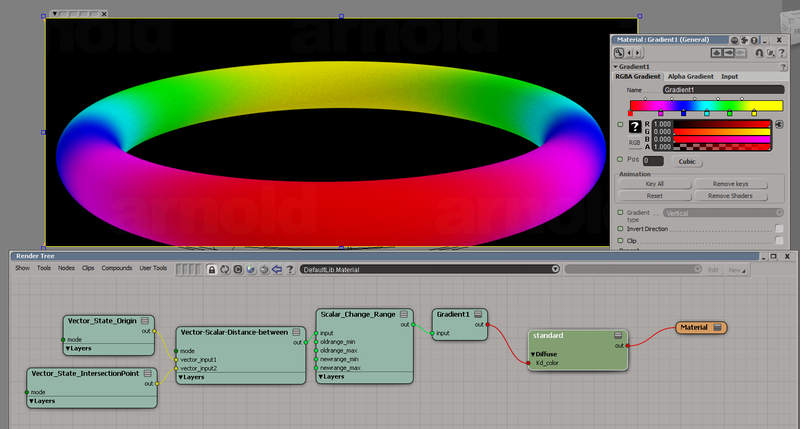 You can even use these shaders in Maya (since they are just Arnold shaders). Just put sitoa_shaders somewhere in the ARNOLD_PLUGIN_PATH, and MtoA will load them. The shader UI in the Attribute Editor will be very basic (for example, integer input fields instead of drop-down lists), but you can use the shaders. 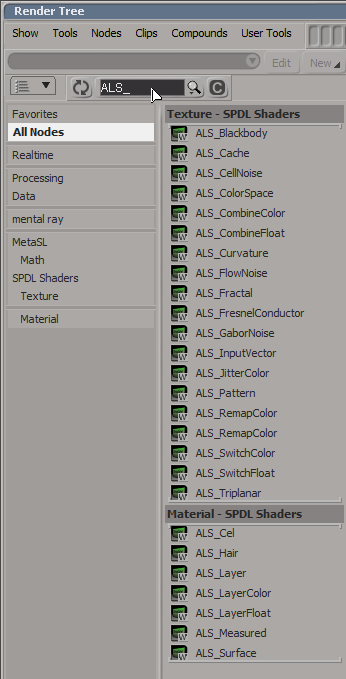 If you’re running Maya 2013 and you don’t see the Arnold shaders in the Assign New Materials window, then you need to install the latest Maya 2013 service pack. After that, you’ll be able to right-click an object and then assign an Arnold shader.